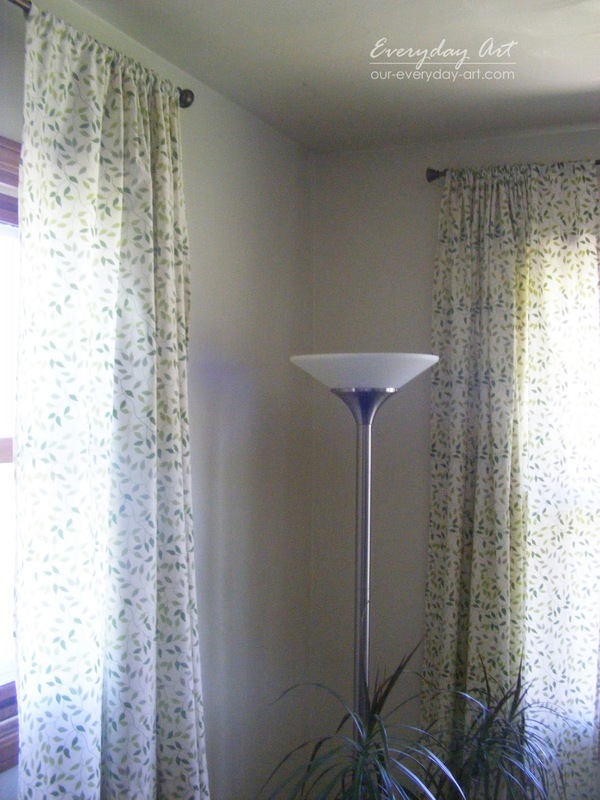 I already had curtains in my family room, and there really wasn't anything WRONG with them. I liked them quite a bit actually. BUT they were dark red. Great for fall and even looked beautiful with all my Christmas decorations this winter, but once spring came I was ready for a change. What I really wanted was something LIGHT! Something to brighten-up my family room. Something the morning sun would shine through just a bit. 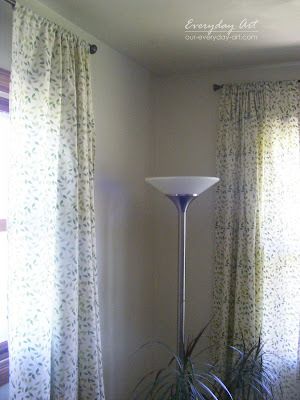 However, I couldn't justify spending a lot of money (or time for that matter) on curtains I didn't really need. Use inexpensive SHEETS to make CURTAINS. Size- When I've made curtains in the past I've often been frustrated trying to find fabric I like that is wide enough to create a curtain panel for a large window. 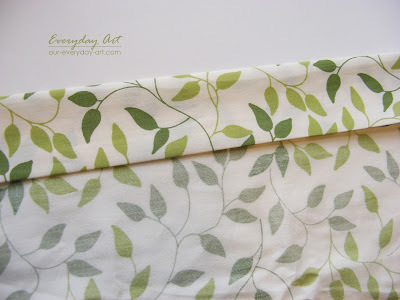 Sheets are nice and wide and for different widths buy different size sheets. 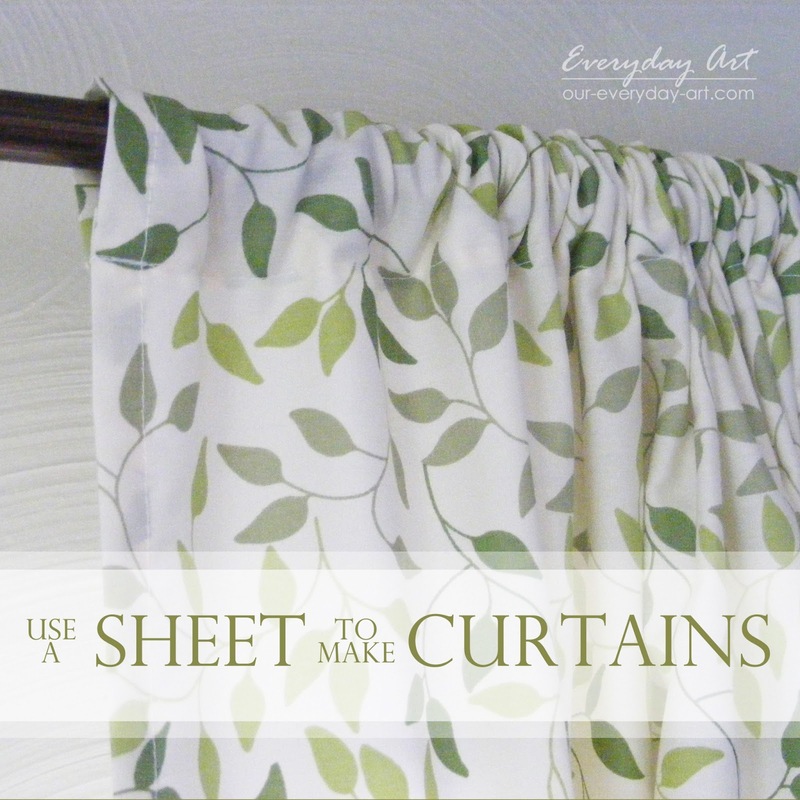 Measure the length you need your curtains to be. Add 2 1/2 inches to make your casing. sheet, not the top that has the nice wide hemmed edge. Fold the cut edge of the sheet over 1/2 inch (towards the back) and iron. Now fold the same edge over 2 inches and iron. 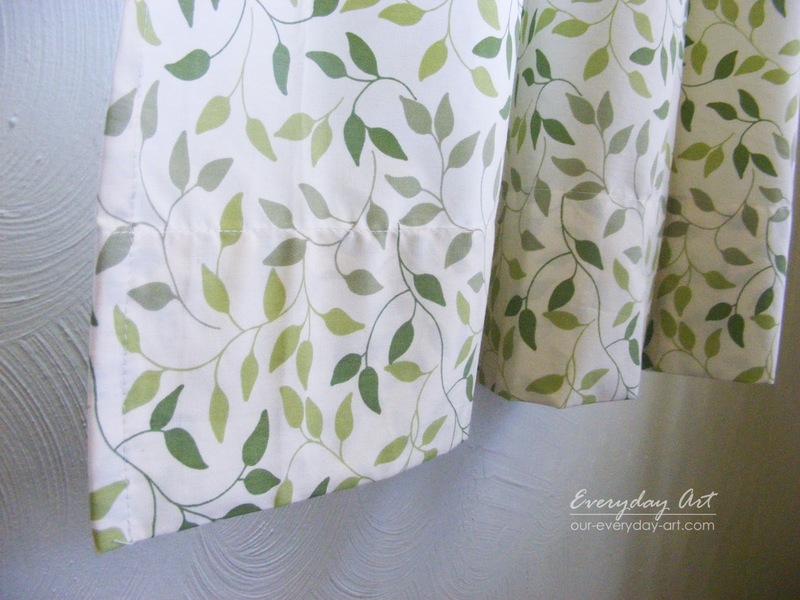 Sew along the edge to make a casing. 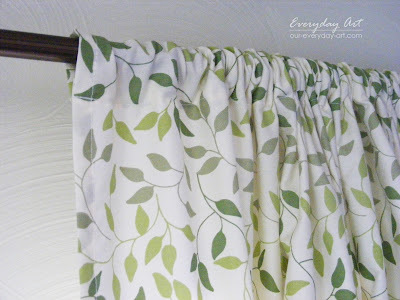 Slide the curtain rod through the casing and hang-up your new curtains! and you didn't even have to sew it! This really was sooo. fast. Easily less than an hour start to finish! Yeah! 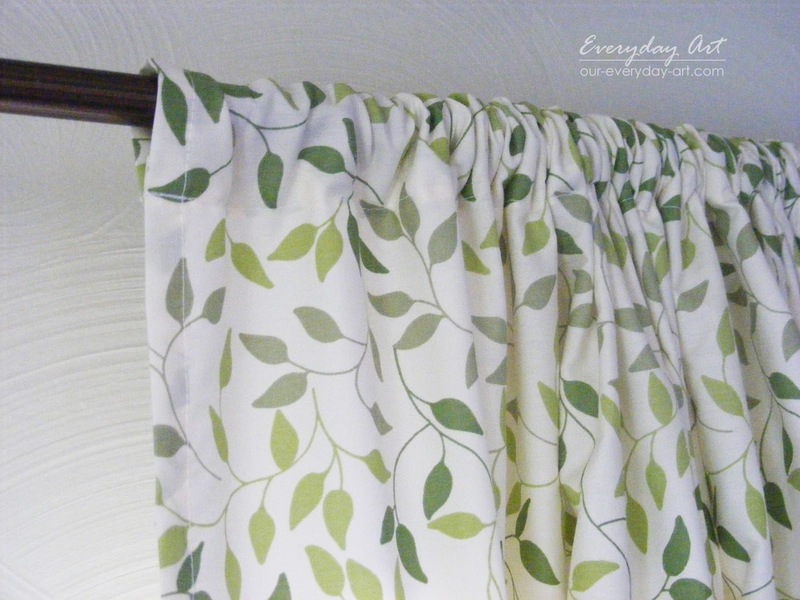 I chose to make my curtains with a simple casing on top, but with a little more time you could add tabs instead or with a little more money add grommets. Great idea! 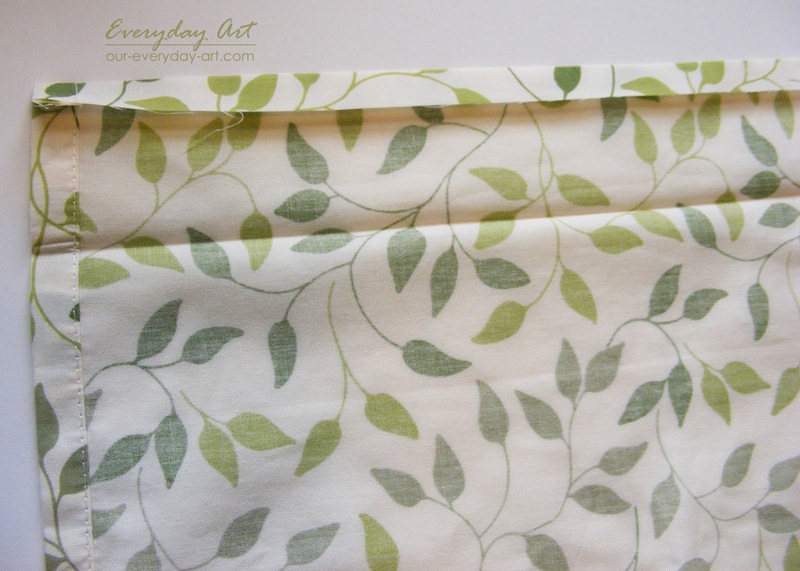 And I love this fabric! Thank you for sharing! I’d love to have you visit me at Get Your Crap Together! We have a Pattern Party from the 1st of the month to the 10th and would love you to check it out. See you soon!